Some of the reports are available only in Finnish language. Reports will be published during the summer 2018 in the Novia University of Applied Sciences’ publication series. Enabling Waterborne Public Transportation with Automated Service Piers - Human-Centred Service Design for Automated Maritime Travel within the Urban Archipelago. The concept is developed in Aalto University by David Bradley Mullen. Pier proposal and a view from the service storyboard. Images by David Bradley Mullen. 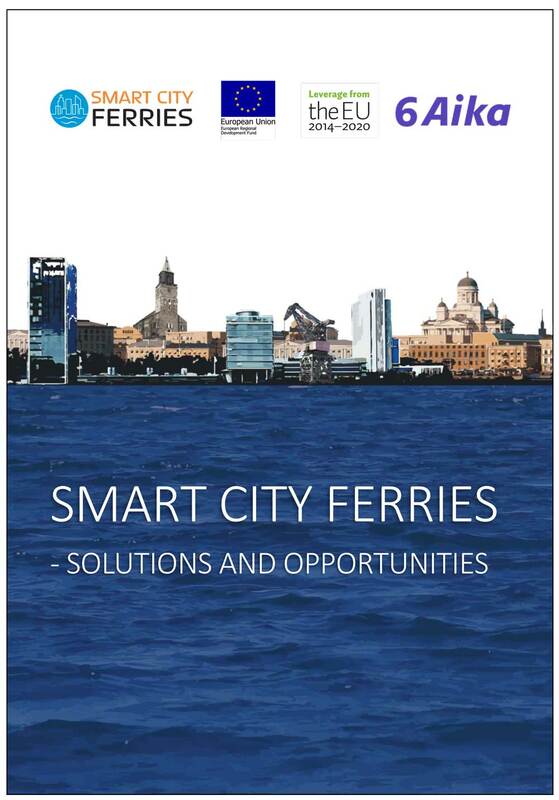 Services or the Smart Quay: Research study on integrable services in the new movable Smart Quay. Master’s Thesis made by Ove Sundkvist in Turku University of Applied Sciences - Download here. A service path on a ferry to the archipelago, with adventurous trippers as an example group (Figure: Sanna-Mari Jalonen). Smart Föri concept. This concept takes account of the accessibility and amenities from the viewpoint of different users. The concept is developed in Turku University of Applied Sciences by Nicola Mäkilä, Zurisadai Hands, Niina Salmi and Veera Ketonen. Different users of the smart urban ferry and the ferry in the lower reaches of river Aura (Figures: left Henna Sandell, right Jaana Pitkänen and Henna Sandell). 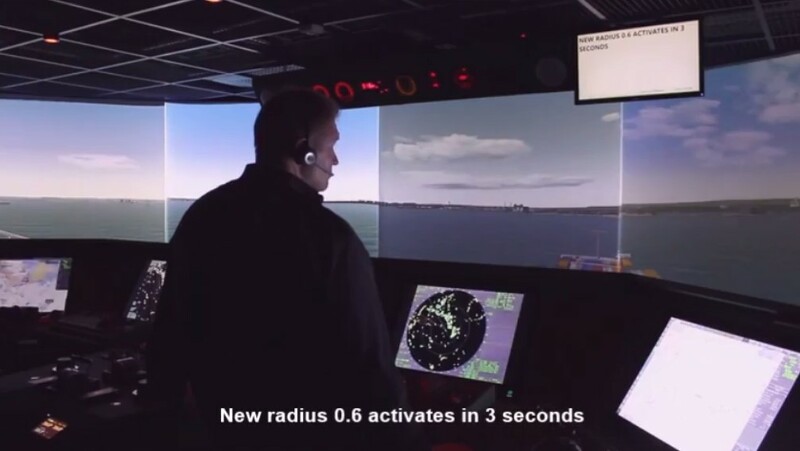 Kipparikaveri - a game-based safety application, with which the passenger can learn how to act and use the rescue equipment in dangerous situation on an autonomous unmanned vessel. The idea is that the passenger can gain familiarity with and learn to use the rescue equipment before boarding the ferry. The further development of the safety solution has been negotiated with the City of Turku. The concept is developed in Turku University of Applied Sciences by Markus Pulli, Laura Höglund, Airi Katajamäki and Emilia Kulma. Kipparikaveri safety application (Figures: Markus Pulli, Laura Höglund, Airi Katajamäki and Emilia Kulma). Info application for the provision of information on the archipelago. The purpose of this application is enable those with no boat but who wish to visit the archipelago to find the providers of both public and private water transport services, including the schedules and routes. The concept is developed in Turku University of Applied Sciences by Jaana Pitkänen and Henna Sandell. Example views of the Info application (Figures: Jaana Pitkänen and Henna Sandell). Urban Waterborne Transit service concept, which combines digital services with the ferry concept. The example of this include archipelago cards that can be loaded in advance, whereby the information on the island that is the destination of the trip will be stored on a smart device, also when no network connection is available. The concept is developed in Aalto University by Juho Kruskopf. On the left, a view of the network service concept, on the right, an autonomous ferry concept (Figures: Juho Kruskopf). On the left, the user interface of the Poijju service, on the right, the Poijju ferry concept (Figures: Liina Pölönen and Mikko Hakulinen). Lighting as a Service concept, which provides guidance and creates a feeling of safety. The concept is developed in Turku University of Applied Sciences by Miska Harjamäki, Janne Juuse and Doris Välikangas. Among other things, light can be used to create understandability and accessibility (Figures: Miska Harjamäki, Janne Juuse and Doris Välikangas). The appearance and interior of the Agorà ferry concept (Figures: Chiara Parise). Soothing light by the Wavelet seat concept (Photos: left Zurisadai Hands, right Tarmo Karhu). The Ror lamp concept in a natural concept and at a fair in Stockholm (Photos: left Janne Juuse, right Tarmo Karhu). A mushROOM cover and a seat (Figures: Giorgia Gallesio). BeBalance seat keeps you always in a horizontal position (Figures: Zurisadai Hands). Dock seat concept (Photos: Zurisadai Hands). The Life Preserver concept: Under the project, a safer and smarter life preserver was developed, the features of which included better visibility, better localization at sea and improved safety. Various colours and material of the life preserver were also investigated, including finding the easiest manufacturing method. The life preserver was tested with professionals, and the development process will be continues after the project. The concept is developed in Turku University of Applied Sciences by Sofia Nieminen and Kalle Tuominen. For more information on the above mentioned concepts, click the links next to this and, if necessary, contact Tarmo Karhu, responsible for the training and research in design at Turku University of Applied Sciences (-). 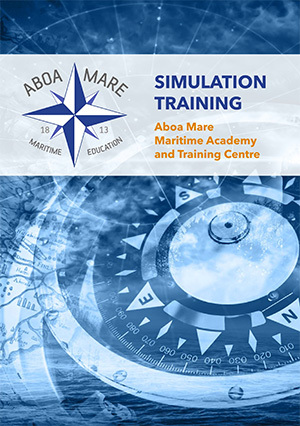 Remote monitoring or operation centers will be a workplace for many seafarers in the future. But what will a functional remote operation center be like — a navigational bridge transferred ashore or a new kind of smart working environment that supports operators’ situational awareness? In ÄlyVESI project, we believe in the latter option.